One thing intimidating many service providers is the idea of coming up with a creative explainer video that meets their needs. There's an agreement that explainer videos are one of the best ways of giving the target audience more information on your services. Today, most big service providers have mastered the use of explainer videos including small start-ups. There's no reason why you shouldn't. Most service providers, especially new ones entering the industry, might feel they don't have the coolest service, which might have a bearing on their marketing strategy. However, through quality video creation service you can create visual content that gives a person who needs the service a reason to believe your service can meet his/her needs. If you wouldn't have created it chances are they wouldn't have seen how the service solves their problems. When it comes to animated explainer videos for marketing purposes avoid holding back on quality. You don't want the viewer to think “how could anyone have created such a video” but rather “man, that service is exactly what I need!”. An explainer video maker always has a portfolio you can take a peek at and decide whether you can work together. In the end you should take home the most beautiful yet mind-blowing piece of animated marketing video that will get results almost immediately. 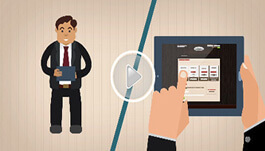 While looking for explainer videos avoid going for any kind of video. Think of an impact video that increases conversion and boosts sales among other great results. It has to be made really well. As a service provider, you are thinking about giving people a reason to watch the video and learn more about the great service you are offering. 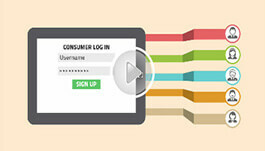 It must be an explainer video worth watching. If you have observed Salesforce, Dropbox or even Apple, you'll realize their explainer videos are made in a way that you are encouraged to watch even without being told so. At the end of the day, it's all about your brand really standing out, target audience respecting your brand and product users buying the service. 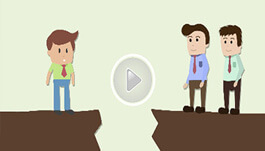 It's important for your explainer video to earn the trust of those who watch it. Virtually everyone has become a pro in videos and really take their time to watch one that's worth it because they can differentiate a great video from a bad one. If your company invests in a quality video it'll be trusted because everyone knows a highly quality explainer video takes some bit of work to put together and not a hurried piece of curmudgeon. The quality of a video is important and will have an impact on how your brand is perceived by customers or the target audience. You cannot dupe people; they know good videos and trust them because it shows some bit of care, craftsmanship and expertise. 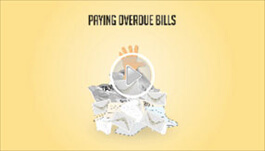 While ordering explainer videos remember you are not purchasing any kind of video. Essentially, you are going for a proven and effective medium that pays. Using a video creation service with a lot of experience and a deep understanding of SEO will get you a video that’ll have a huge effect on your target audience.